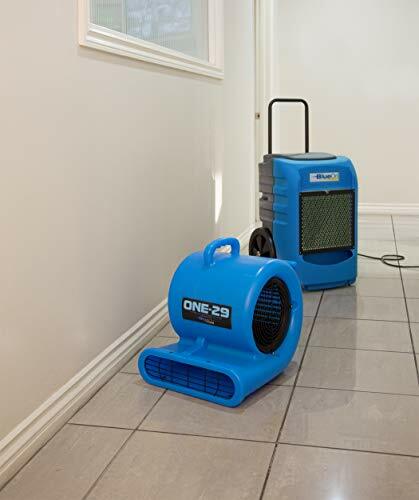 ONE-29 Air mover Carpet dryer 3-Speed 2.9 AMPS with GFCI 4-unit Daisy Chain Capability! 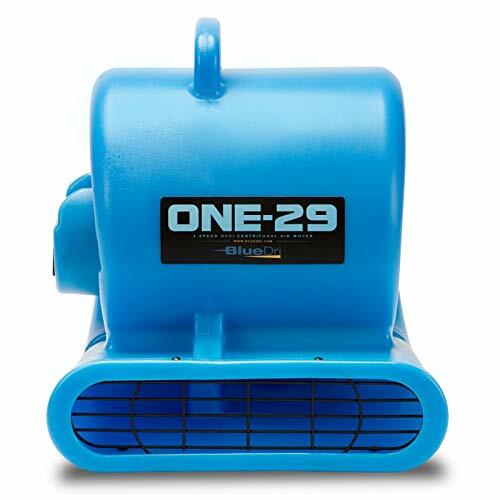 0.33 HP 3-Speed 2.9 AMP Centrifugal Air Mover ONE-29 is a C-ETL-US listed safety certified lightweight 0.33 HP 2900 CFM air mover with 3 speeds and 3 different blowing positions. 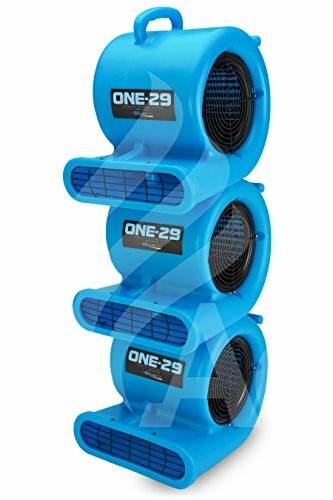 It is full stackable 3-up for those with limited storage ability. With it's low 2.9 AMP draw at highest speed you can safely plug 4 units into each other. 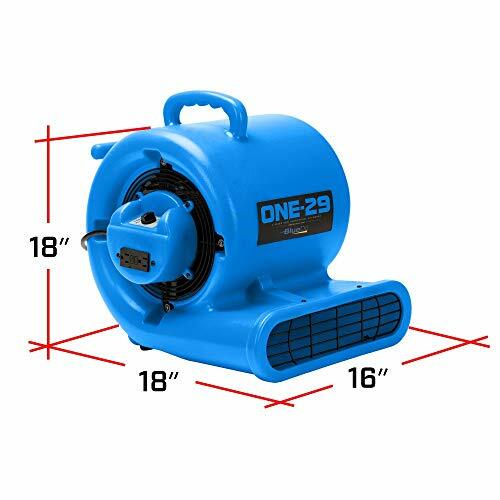 ONE-29 is constructed with polyethylene Roto Molded housing with 5 Year Warranty, 25' Power cord and cord wrap is standard. 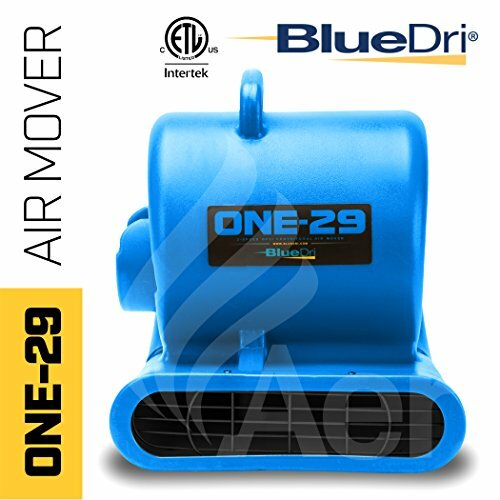 This ONE-29 is featured in blue. 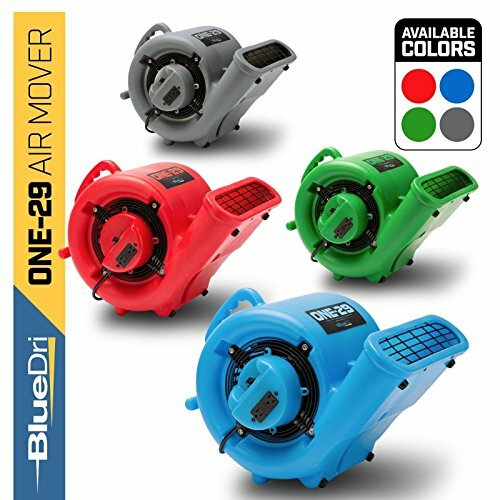 BlueDri ONE-29 Specifications Voltage: 115V 60Hz Motor: 0.33 HP Speeds: 3 Amp Draw: 1.9/2.0/2.9 AMPS Weight: 26 lbs Size 17.3" W x 17.3" L x 18" H Safety Certification: C-ETL-US Power Cord Length: 25". Attached Chord : 25 ft.